We’re super excited about the upcoming MarTech conference — read about the all-access editorial program as well as the free Expo+ program — April 3-5 in the Bay Area. But we’ve also begun work on our next MarTech in Boston this fall. As we develop the agenda for that event, we’d love your help in picking the topics that would be most valuable to you. What is one martech challenge that keeps you up at night? “Just one? !” you might exclaim. But since we know you’re busy tackling a long list, we’d be thrilled if you would share just one — in particular, one that you would love to see addressed in the program content for our next conference in the fall. You can participate anonymously, but you can also optionally provide your name and email to be entered in a drawing for a free next MarTech or SMX all-access ticket. 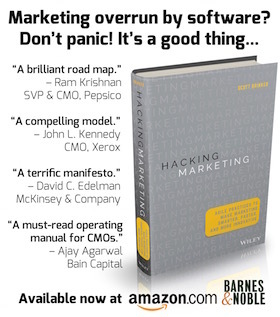 Next Post If you say agile marketing doesn’t work, which practices are you talking about?